On May 16 at 18.00, in collaboration with the Stockholm School of Economics in Riga, we are going to present two documentaries from the “Cities on Speed” series devoted to sustainability and civic engagement – “Cities on Speed: Cairo Garbage” and “Cities on Speed: Bogota Change” in Kino Bize, Riga. The film screening will be followed by a discussion between Morten Ebbe Juul Nielsen, a researcher at Copenhagen University, and an architect, urban researcher Oskars Redbergs. The event is organized in the framework of an international conference “The Economics, Politics and Ethics of Climate Change and Sustainability”. The films will be screened in original language with subtitles in English. Entry free of charge. Film series “Cities on Speed” shows how four different world megacities are dealing with the challenge of population growth. Megacities have traditionally been economic and political power centers but today the fastest growing cities are in developing nations. The new challenge is that cities are growing helter skelter rather than planned. There is an acute need for new models of city planning to prevent collapses under such huge social, economic and environmental pressure. If cities are to remain liveable, the problems of population increase must be understood and dealt with. What are the visions and the solutions and how do they affect the city inhabitants? In the early 90s, Bogotá was a city with big problems: social inequality, pollution, out-of-control population growth, and poor public transportation. Kidnappings were common and the city had the world’s highest homicide rates. But unlike other poor megacities, Bogotá found a solution: in 1993, Antanas Mockus, a university president, became mayor and turned the city into one big social experiment. Under his leadership, community watch groups were formed, homicides fell 70%, traffic fatalities dropped by over 50%, and many citizens voluntarily paid an extra 10% tax! Previously only 12 million people lived in Cairo and the city was neat and tidy. 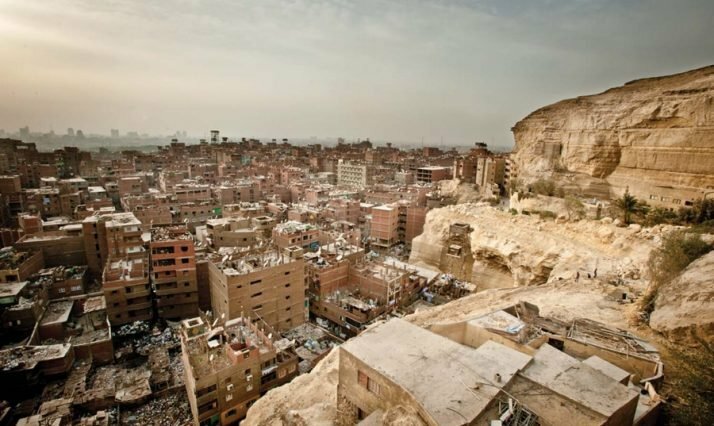 Today Cairo has a population estimated at 20 million with six giant Garbage Villages that have evolved into towns within the city. Nobody can keep up with the speed at which the city is growing and their rubbish piles up in the streets.